Have your say about transport in the Eastriggs area. 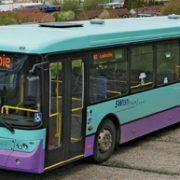 The South West of Scotland Transport Partnership (SWestrans) have commissioned Peter Brett Associates to carry out a survey “to identify and understand the transport issues which affect the Eastriggs are and surrounding communities on a day to day basis”. In addition to hearing about any transport problems you may face, SWestrans would also like to hear your thoughts on how the transport network could be improved. Your views may include issues on access to employment, healthcare and leisure facilities and how transport could encourage investment in the Eastriggs area. The survey will be open until Friday 27th May – plenty of time to Have Your Say!